Made with thick metal and hand-painted with outdoor safe finishes. 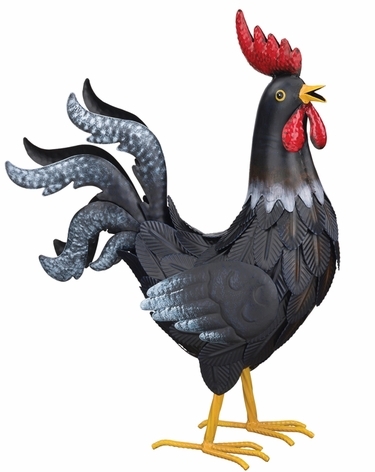 Makes a great rooster gift! Also available in a larger size.